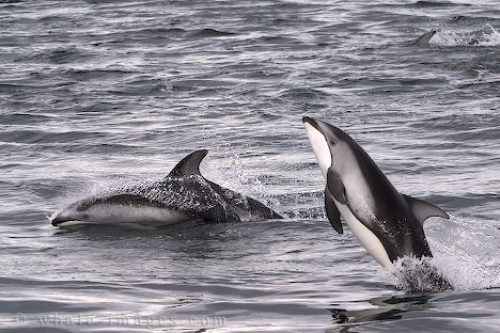 Marine Life - Pacific White Sided Dolphin, British Columbia. These two dolphins were enjoying the marine life, as they displayed their ability to jump, speed swim, and generally folic about in the water. It was as though they were awaiting our applause at the acrobatic jumps they performed or at how close they came to us. We were visitors in their marine life and they were curious as to what we were and what we did.